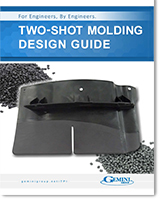 Injection Molding Processes | Thumb Plastics, Inc. The plastic injection molding process is far more involved than simply manufacturing your parts. That is why in addition to the injection molding process, Thumb Plastics also specializes in an array of additional services to help you develop your product and see it through to final production. And throughout the course of the plastic injection molding process, identifying areas to drive cost out of your product and decrease time to market.